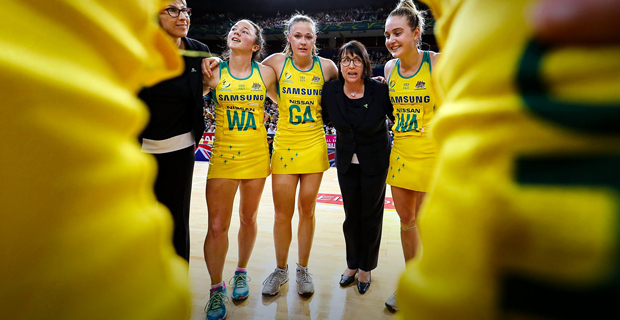 Australia Netball coach Lisa Alexander remains defiant after their 52‑49 Quad Series loss to England in London, saying defeat will only add to their desire at the World Cup. The beaten‑up Diamonds succumbed late to their arch rivals this morning, although the margin was close enough to clinch the four‑nation series title on goal differential. The Diamonds lost to the Roses but won the Quad Series overall. The Silver Ferns avoided a winless quad series in England after beating South Africa 62‑60 in a double extra time thriller today. The win was also enough for the Ferns to pip South Africa for third place in the series.